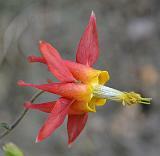 Nearly 400 plant species have been reported as growing wild in the Claremont Canyon watershed. As of July 1, 2014, we have photographed 242 species. The pictures are assigned to groups according to the plant growth habit, as specified by the Annotated Checklist of the East Bay Flora, 2nd edition, 2013 compiled by Barbara Ertter and Lech Naumovich. Within each folder, plant species are arranged by scientific name as described In The Jepson Manual: Vascular Plants of California, 2nd edition, 2012.